El Metodico Melindo of the Philippines is set to fight the current IBF World light flyweight champion Akira Yaegeshi of Japan. 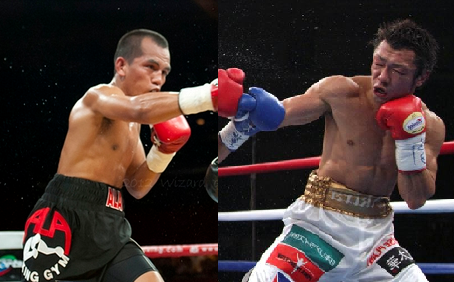 Melindo who just recently won the interim IBF World light flyweight title is now gunning for the regular title. The 29 years old from ALA promotion had won the interim title via unanimous decision against the Thailander Teeraphong Utaida in 2016. Melindo tried two times to grab the world title but was defeated by Juan Francisco Estrada in 2013 and Javier Mendoza in 2015. The smart boxer from Cagayan de Oro City, Misamis Oriental, Philippines is now working hard for this fight and promises to win the fight impressively. On the other hand, Akira Yaegashi of Japan is a top boxer and currently ranked 4th in the best light flyweight boxer in the world. Akira Yaegashi has a record of 25W(13K0)-5L, he is a 3 division world champion winning WBA World minimumweight title in 2011, WBC World flyweight title in 2013 and IBF World light flyweight title in 2015. Yaegeshi defeated some of the notable boxers including Javier Mendoza, Oscar Blanquet, Toshiyuki Igarashi and Pornsawan Porpramook. Melindo vs Yaegeshi will be held at Ariake Colosseum, Tokyo, Japan on May 21, 2017.